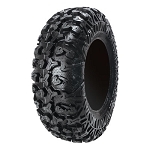 The popular Dirt Tamer tire is a proven favorite for all utility atv riders. The bold non-directional tread design has excellent traction in all types of terrain and conditions. 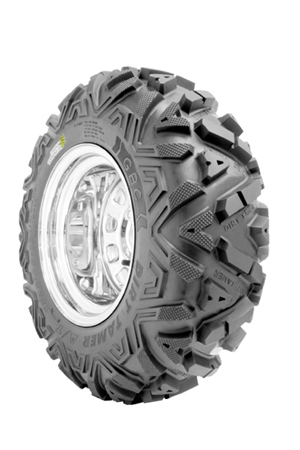 This heavy-duty 6-ply rated atv tire offers serious puncture resistance and its tread lugs run deep into the sidewall for added protection. The Dirt Tamer is heavy on performance, but light on your wallet. 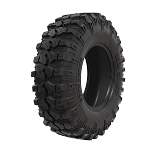 - GBC Dirt Tamer ATV tires are sold individually. 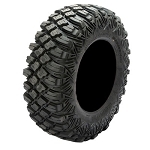 - Our Dirt Tamer tires generally ship out within 1 business day! - All terrain tire for the rider who needs size, strength and an aggressive tread design. Great tires for a good price! Much better than we have bought from a local dealer. put a set of 26x12x12 on my 2013 honda foreman. first day i had them on i hit a couple deep holes and put about 30 road miles on them. they dig great and clean out pretty good. on the road they shimmy a lil at 50mph and higher. but for a tire with this amount of tread its expected. very pleased with the look and performance. pure off road has great customer service. great aggressive tread handles well, I think u feel larger rocks and sticks/logs less being 6ply... not the best snow tire, dig in too much @ 8"+ unerstandable because of the tread and weight, I ran them @ 7psi less would help but not enough to impress, ample sideways slip for fast trail cornering, miniscule wobble at over 50mph... for an all around tire very hard to beat for the price... sidewall tread nice look. Excellent customer service and fast shipping from pure offroad. I bought these tires as cheap alternate to the bighorns.In the mud, these tires will go. A really good tire for the sand and gravel. Noticed the best performance on dirt trails and large rock they gave a sooth ride. Great choice if you are not a speed demon. They are a little out of balance at speeds over 55mph. These tires have worked great for me... dirt, deep mud, snow, whatever. Great all around tire, especially for the price compared to similar. I put the 27-12-12 on the front and back of my Honda Big Red side by side and they fit with no problem! They are holding up very well even with alot of use on payvment. Could not believe how fast I got these tires. Will definatly be doing business again with Pure Offroad!! This was by far the best deal on these tires. Received them in a very timely manner and installed them right away. The ride is smooth (made me realize how beat up the original tires were) on the flat road but haven't had an opportunity to take them out on the rough roads yet. I have a 2010 Polaris Ranger with over 3000 miles so we use our rig alot. 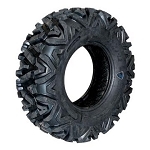 bought these to put on a suzuki king quad 700. they ride smooth, grip great, and are a great tire for the money. would definitely check these out. All I have to say about these tires is AWSOME!! And what a great price! These tires are great. They ride smooth, good traction, no complaints here. Would def. buy again. Great tires for the price, highly recommend. put the 27x12x12 on a teryx 750 2300 lbs and let the air down to 1 pound and it still didn't flex the side wall. will still give 2 stars because i haven't taken them to far off the road yet just put them on today but they may be a really rough ride for the kind of terrain i drive on. I put these tires on my RZR 900. They are perfect for all the riding I do. Excellent traction provided. Very good price and great shipping. Q: Does this include the wheel or just tire? A: This is just the tire. Wheels are not included, they are sold separately. Q: What do you think about putting these in 25-9 12 size, on a Kingquad 750, on all the 4 wheels? A: I personally prefer the wider tire on the back but we have many customers that run the 9 inch wide all the way around so I think you would be happy with that if that is the look you are going for.